Phoenix rising? Sentiment at the Phoenix conference? Please forgive the play on words, but given the location of The Lodging Conference and the continuing ascent of lodging industry fundamentals, I was simply unable to restrain myself on the title of today’s post. 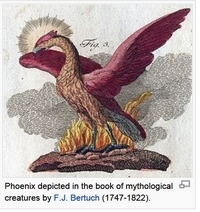 I am also an ardent student of mythology, so once I looked up “phoenix rising” in Wikipedia, I had to go with the title. My “research” on this subject is at the end of this article. But the metaphor may be appropriate. Harry Javer and Morris Lasky have done it again. Another great annual event at the Arizona Biltmore, with more than 1,400 attendees, matching the all-time record set in 2007. I have usually found that conference attendance is something of a barometer of the mood in the lodging industry, so this showing bodes well. What is the take of the lodging industry “think tank” on the state of the industry? Three times a year, the Lodging Industry Investment Council (“LIIC” pronounced “lick”) gathers leaders of the industry for formal think tank sessions on various topics of importance. The approximately 70 members of LIIC represent approximately $20 billion of hotel properties from all segments and locations. The most recent meeting was held last week in conjunction with The Lodging Conference. I am privileged to be one of the three co-chairs of the Lodging Industry Investment Council, along with Mike Cahill and Sean Hennessey. Mike is CEO and Founder of Hospitality Real Estate Counselors or HREC based in Denver, Colorado, and Sean is President of Lodging Advisors LLC in New York City. After a special State of Industry briefing by Vail Brown of Smith Travel Research, and a robust discussion of what the LIIC members are experiencing right now, Mike Cahill provided this summary of his take on the environment. By the way, you can reach Mike Cahill at (303) 267-0057 x101 or on cell at (303) 921-6907 and at mcahill@hrec.com. 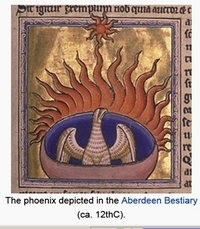 According to Wikipedia, the phoenix is a mythical sacred fire bird that can be found in the mythologies of the Arabian, Persians, Greeks, Romans, Egyptians, Chinese, Turks, Indians and Phoenicians and Canaanites. It is described as a bird with a colorful plumage and a tail of gold and scarlet (or purple, blue, and green according to some legends). It has a 500 to 1000 year life-cycle, near the end of which it builds itself a nest of twigs that then ignites; both nest and bird burn fiercely and are reduced to ashes, from which a new, young phoenix or phoenix egg arises, reborn anew to live again. The new phoenix is destined to live as long as its old self. It is said that the bird’s cry is that of a beautiful song. The Phoenix’s ability to be reborn from its own ashes implies that it is immortal, though in some stories the new Phoenix is merely the offspring of the older one. In very few stories they are able to change into people. Michael Cahill, CRE, MAI, FRICS, CHA is CEO and founder of HREC – Hospitality Real Estate Counselors, a leading North American real estate investment banking and advisory firm specializing exclusively in the lodging and gaming industries. Mr. Cahill oversees all three company division; brokerage, consulting and development and has counseled on over 2,500 lodging and gaming properties. 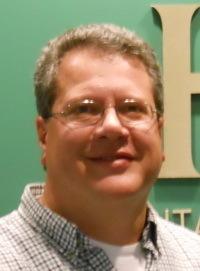 He has authored and published over 85 industry articles, lectured to more than 55 of the nation’s premier industry organizations and has been quoted as an industry expert in 70 different publications. Mike is co-chairman of both the Lodging Industry Investment Council (“LIIC”) and the International Lodging Finance Council (“ILFC”). Mr. Cahill was an original co-founder of the Microtel lodging concept and hotel chain. He is a graduate of the Cornell University Hotel School where he was an Academic All-America football player.